With bar stools becoming an increasingly popular item for home kitchens, here are a few tips for how to pick the best stools and chairs. 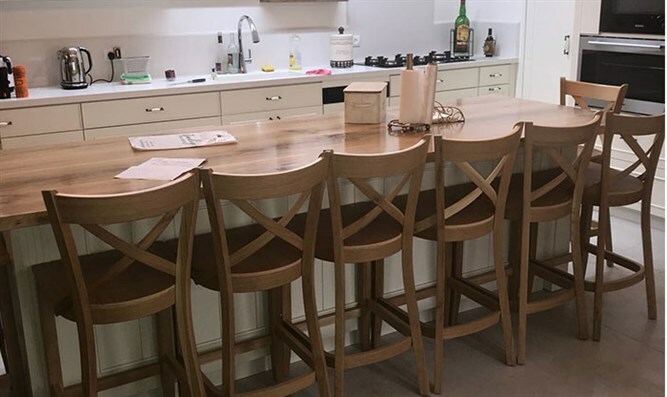 In recent years, the popularity of bar stools has increased especially in the home kitchens, let's discover a few tips before purchasing them. Finding a perfect chair or bar stool calls for some efforts and creativity. Whether you are setting up your kitchen or a bar, all you need to add up some stylish yet comfortable seating. If you visit the market to buy them you will find a huge variety in chairs which you can team up with your furniture easily. Before buying a perfect seating for your home, look up for some ideas so you can easily make the right choice. When it comes to bar stools, the size of the lad has great importance so you need to make sure how tall or big bar stool you need. Always make sure to chose an appropriate height bar stool that will go perfectly with the height of the bar or table. Usually, the 30 cm (12 inches) difference is considered as the ideal difference between the top of the seat and bottom of the countertop. In chairs the distance varies between the table top and seat, for instance, the dining tables are usually 30 inches (12 inches) in height so the model height of the chair should be 18 inches. There must be enough leg room so the guests can sit easily plus the lap should be comfortable as well. In case of bar stools, if you are slightly taller opt the stool that is more in height than the ideal height of bar stools (65 cm, or 26 inches) and vice versa for those who are shorter in height. The most appealing thing is a chair with comfortable backs. For the instant, if you ‘re working for a long time while sitting in front of a laptop then you really need a chair that can support your back. Most of the people now complain about back aches and the cause is sitting on those uncomfortable chairs for hours. Even a lot of bar stools or chairs have backs, on the contrary, a lot of them don’t. It’s totally up to your needs as bar stools with or without backs has their own pros and cons. The back of the seating helps you to maintain a good posture also is more comforting. While some people prefer to buy chairs with fancy backs just to elevate the room with elegance. Bar stools without backs can be easily stacked and they are ideal for compact places so the floor will be open up for other furniture or activities. You might be thinking of adding up a chair or a few bar stools can make your kitchen look dull boring. An antique chair or a stylish bar stool can really give an extra oomph to your room and will make it look well decorated. There are thousands of designs, colors and textures are available in the market when it comes to furniture especially in bar stools and chairs. 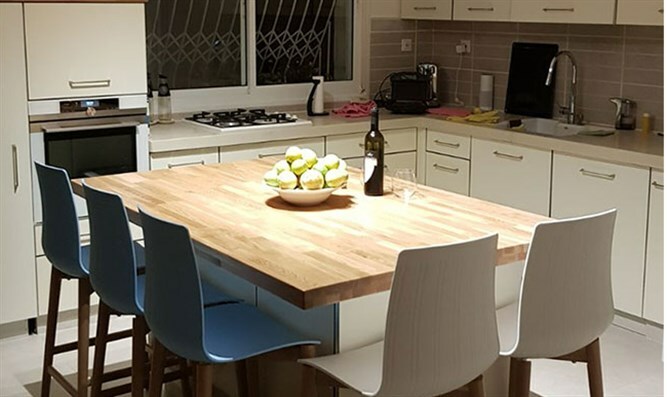 If you are interested in buying a bar stools in Israel, we recommend about 'Quality of the wood' company which supplies furniture to a variety of stores throughout Israel. Most of the people prefer to buy faux leather or fabric chairs for vintage look plus they are more comfortable than the other materials. In stools, you have metal or wood material as an option to buy. Even if you are restricted in the material section still you have other various sections like color scheme, shape, size, style which are open for your creativity. It is also important for which purpose you’re buying a chair or bar stool. If it’s for a restaurant then you can opt those which are less comfortable but more stylish. But if you are purchasing a chair for your house or office work then the style of the chair is less important than how much comfort it should be. For office use, you can choose a swift or an executive chair and for home, an armchair or recliner chair will be good for the use if you’ are only concerned with comfort. The other most important thing to need to check is the height of the footrest. Usually, people face a lot of trouble with that and they are not able to focus on their work properly. While buying a bar stool or a chair, make sure to check the height of the footrest of it. If the chairs are for the home then the footrest should be enough to meet the needs of the children. If your floor can be easily scuffed then check the seat stopper on the feet of the chair and bar stool. Or by dragging they can easily ruin your floor and will leave unwanted marks. Whether you are buying a bar stool, it is really important to consider these things so you can make the right choice. From color to comfort, each and every element should be taken into consideration. This will enable you to find ideal chairs and bar stools for your home, office or restaurant.